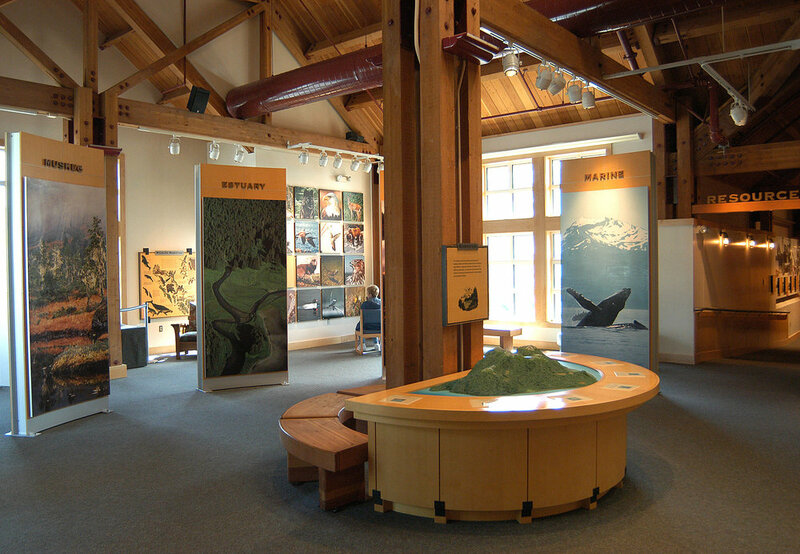 Donald Sibbett collaborated with Ancona + Associates to create exhibits celebrating Southeast Alaska and the Tongass National Forest. 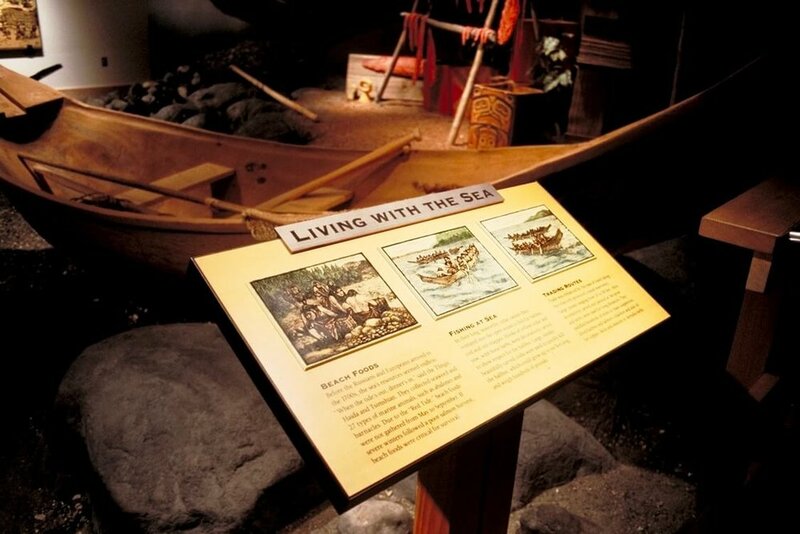 Guests explore a series of walk-through environments including a temperate rainforest, an ancient fishing village, and a native dwelling. 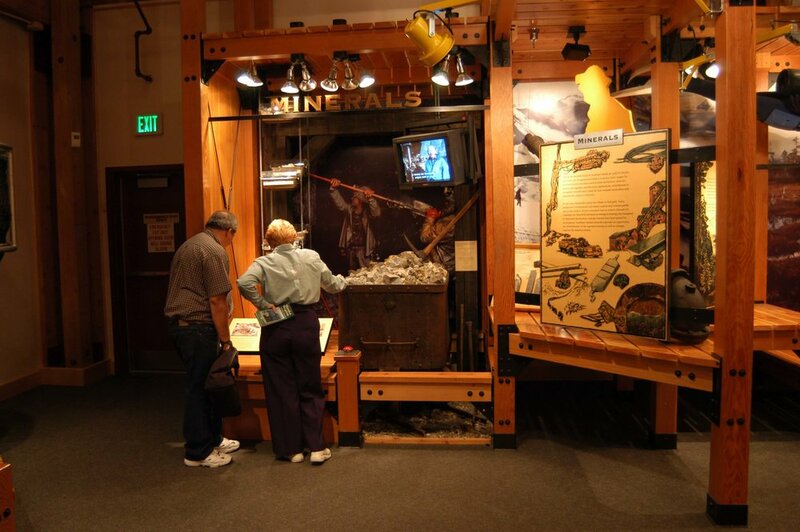 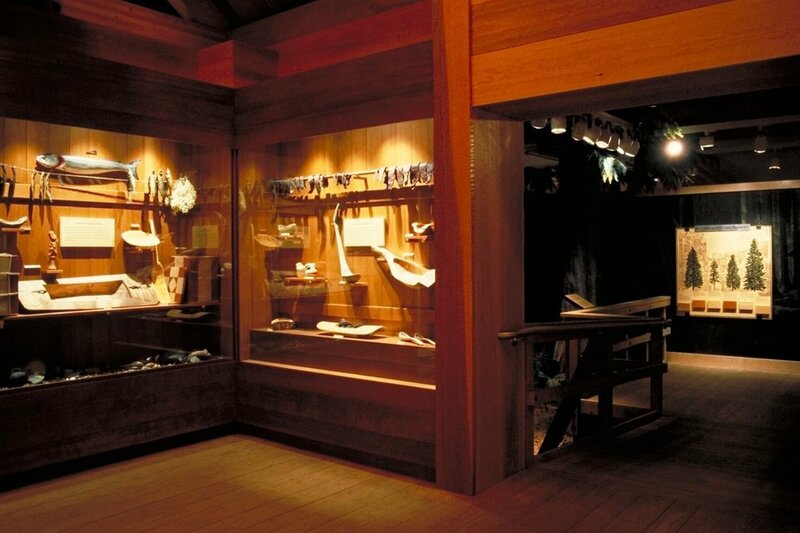 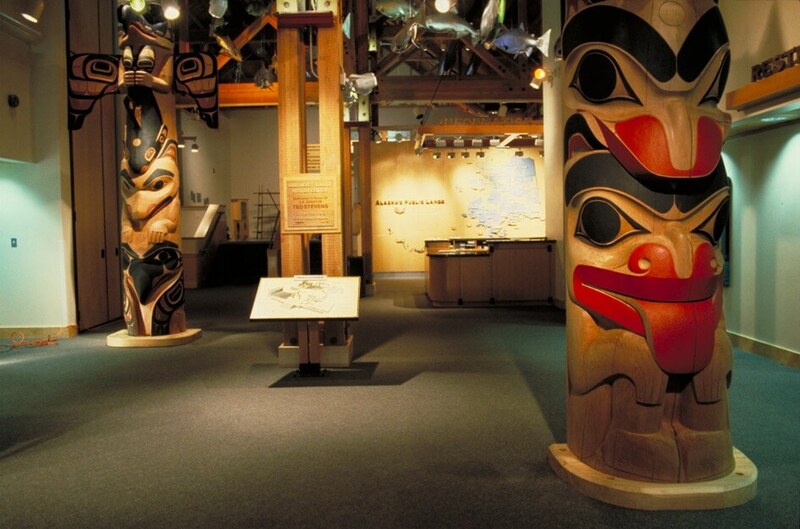 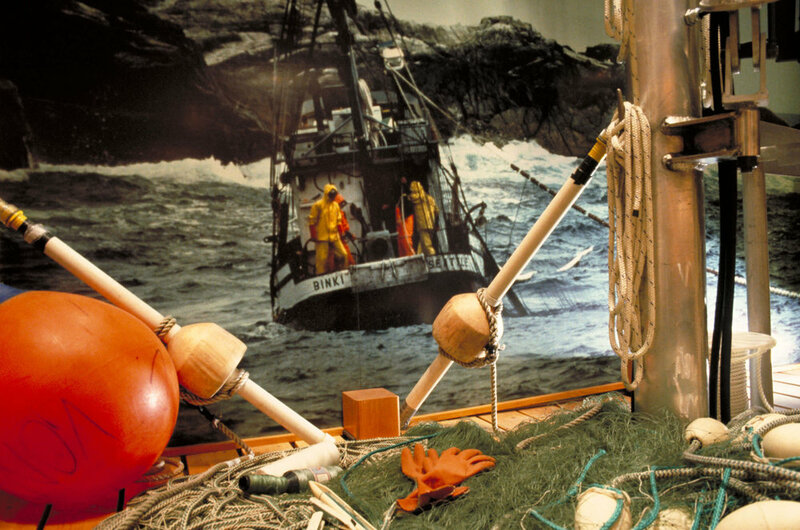 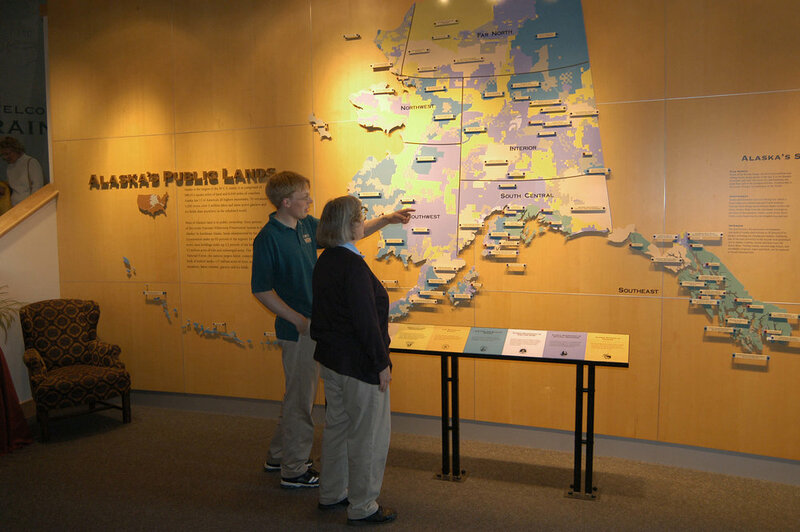 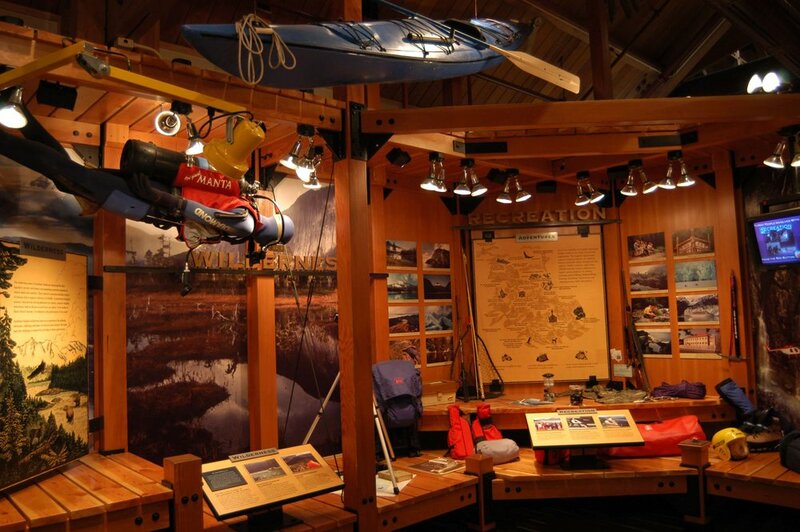 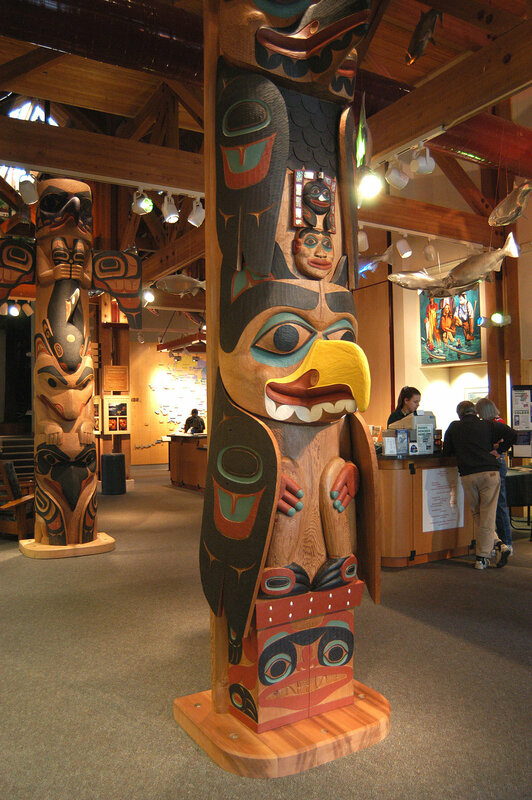 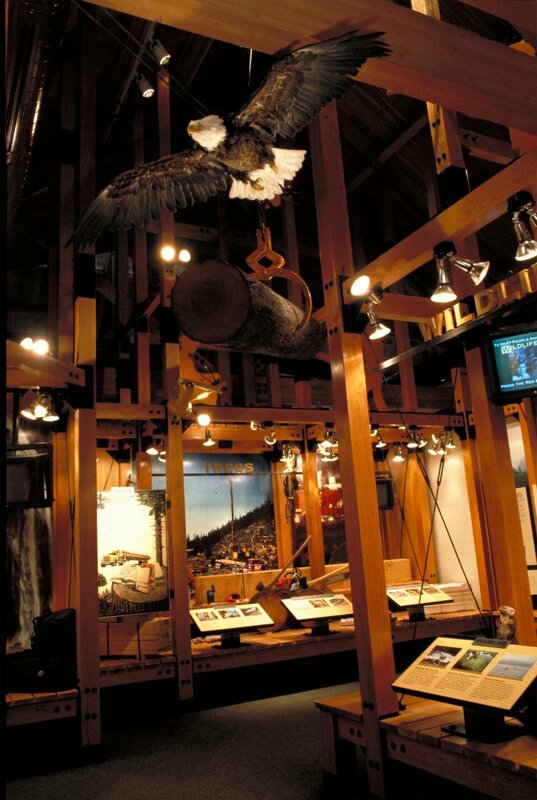 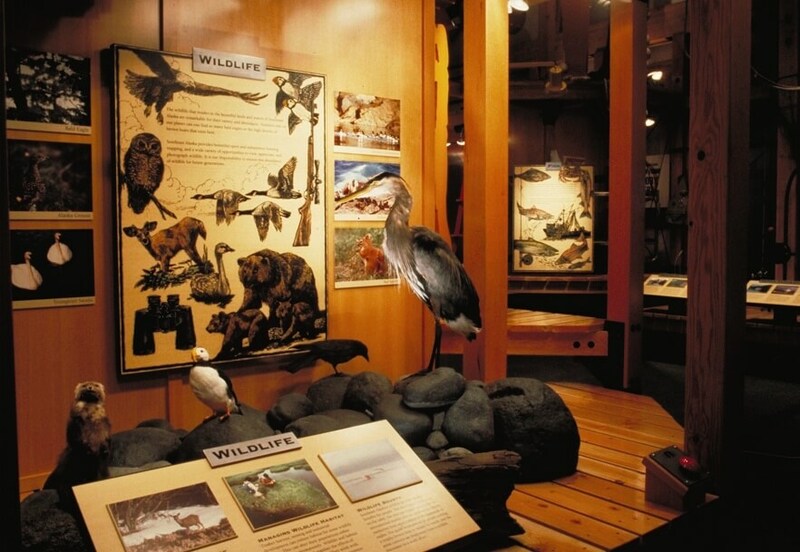 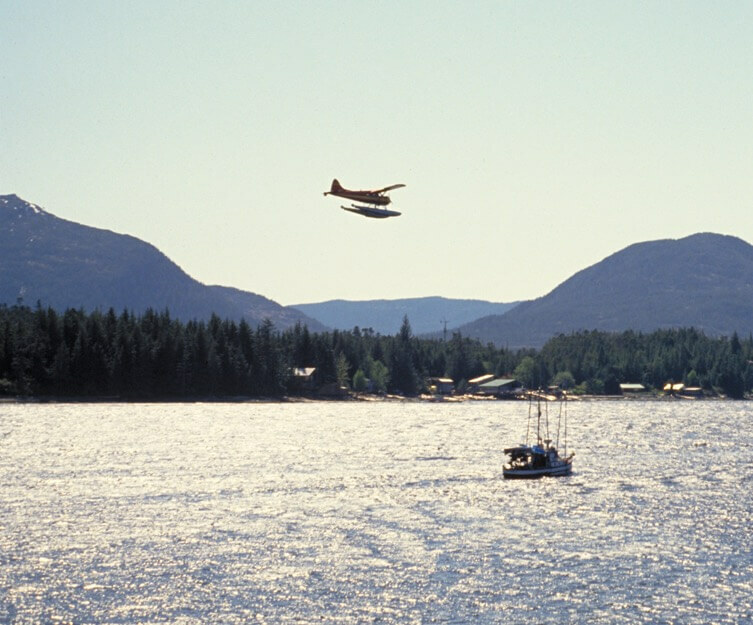 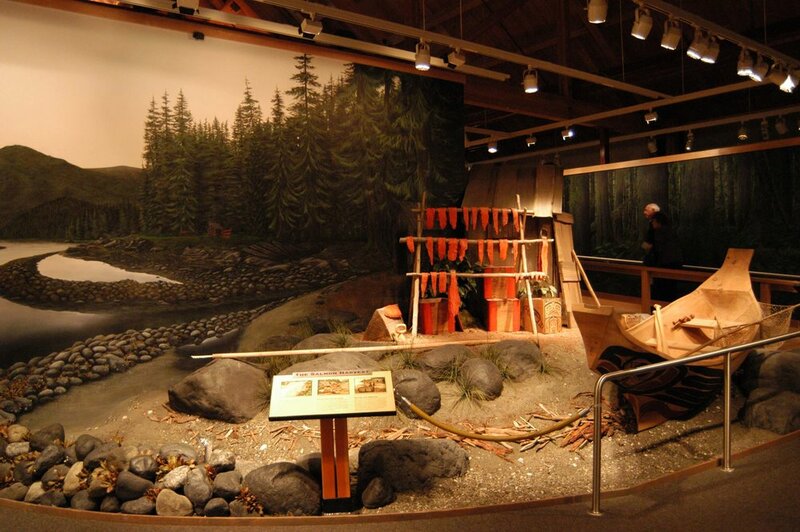 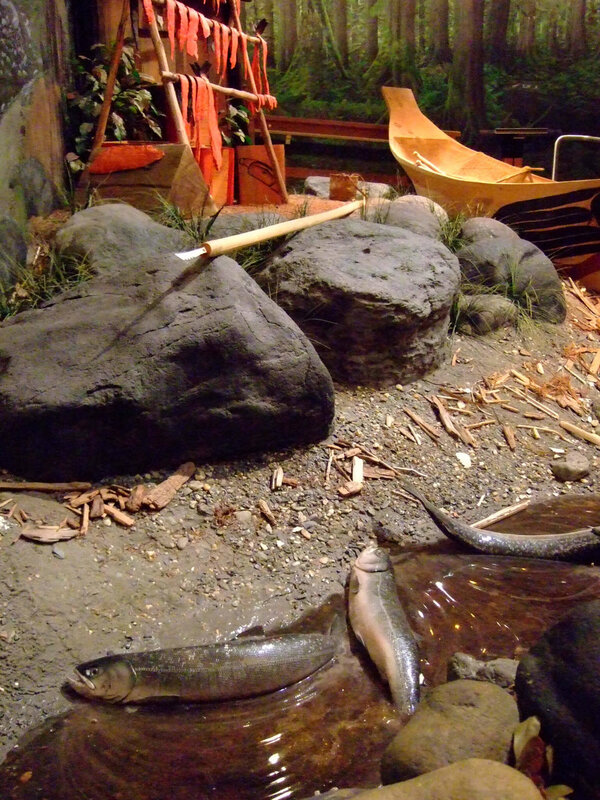 Large photo murals and interactive exhibits highlight the ecosystems of Southeast Alaska, while in a nearby room modern machinery, instruments, and tools illustrate the industries and natural resources of the region.